The start of the new financial year today is when the rich get richer and the poor get poorer under this government. Today marks the start of the “two-child policy” for new claimants of tax credits. That means that families with more than two children will get no extra support through tax credits – however hard they are finding it to make ends meet. Among the worst hit will be around 300,000 families with four or more children. On average, they will be entitled to around £7,000 a year less, according to the Institute for Fiscal Studies. But it is a very different story for wealthy families when it comes to tax changes being ushered in today. In one of the government’s most blatantly unjust policies, chancellor Philip Hammond is pushing ahead with his predecessor’s plan for a £1bn giveaway to wealthy families with a big cut in inheritance tax. From today, the current £325,000 inheritance tax threshold for an individual will gradually be lifted to £500,000. That will allow wealthy couples to pass on a £1m home to their children entirely free of inheritance tax by 2020. These two tax changes are emblematic of Theresa May’s government and its “two nation” attitude to this country as it channels money away from those struggling to get by and towards the rich. There can be no clearer evidence of the prime minister’s priorities at a time when claimants are suffering from rising inflation on the benefits frozen for four years by George Osborne. The Resolution Foundation estimates that changes at the start of this new financial year will mean a net giveaway by the Treasury of £1bn but one that is “highly skewed across the income distribution”. When it comes to business, there are yet more cuts in the rate of corporation tax – something that should be far lower on the government’s priority list. Contrast that cut with what happens to some people receiving universal credit. The way it is tapered means that some people face an effective marginal tax rate of 63 per cent as they lose 63 of every £1 they earn above a certain threshold. From Monday, some new claimants of employment and support allowance (ESA) will get around £30 a week less, only receiving £73.10 in a move that will see around 500,000 lose an average of £1,400 a year. Despite fears it could add to the number of homeless, another change this week means that 18 to 21-year-olds will be denied housing benefit. Among the raft of new austerity measures that do nothing to help the “just about managing” people Theresa May used to talk about are cuts in bereavement allowances. Under the rule change coming in today, families with a terminally ill parent are set to lose thousands of pounds. Previously, families were eligible for a £2,000 lump sum followed by a taxable benefit of about £112 a week until the youngest child leaves full-time education that could stretch over 20 years. From now, the lump sum will be £3,500, but the payments will be cut to around £80 a week – with a much shorter time limit of 18 months. On top of all this, we learn this week that one in three of the 3,632 Sure Start centres set up by Labour have closed since 2010. The start of a new financial year should be a time of optimism when working people hope they will be better off and the vulnerable and the sick hope they will be protected and cared for. This government’s has confirmed its true colours today with more tax cuts for the rich and more austerity for low-income families. It’s time for a change that reflects the priorities of the whole country, not just a wealthy few, which is why we need a Labour government. 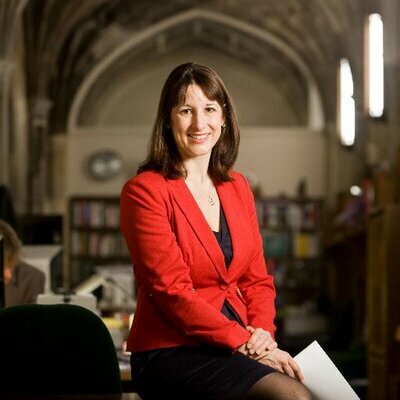 Rachel Reeves is a member of the Treasury select committee.